Our journey to success was a corporate journey crafted with great foresight and a well-designed roadmap. The foundation of an excellent educational institution comprises a superior curriculum, an outstanding faculty and an intellectual environment. For years, these remained as the Group’s core competencies. RafflesEducation seeks sustainable growth that creates value for its stakeholders. The trusted Raffles brand name and its network of institutions support the Group’s continued organic growth. 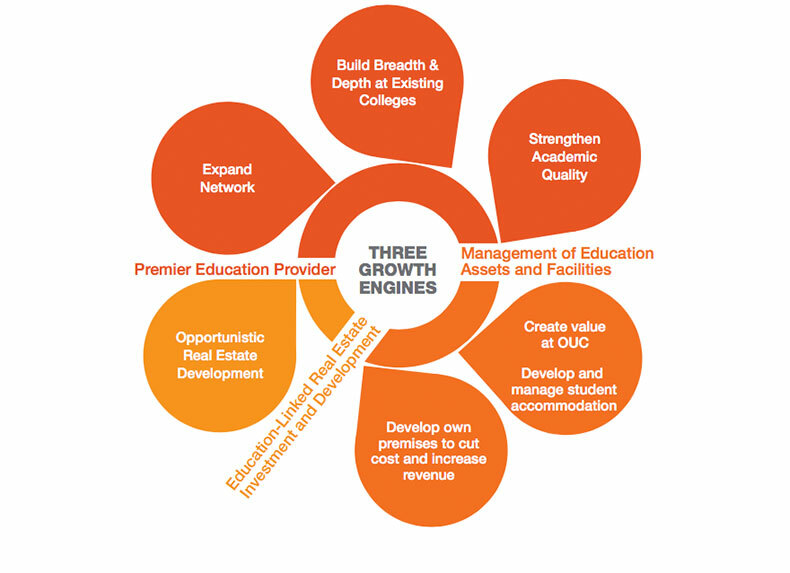 The Group also owns valuable education assets across Asia-Pacific and Europe that can be realised for reinvestment into its education business. Capitalising on its strong fundamentals, the Group will continue to build breadth and depth at its existing colleges, expand its network of institutions, grow its university group, create value at its university city and strengthen its academic quality.